You are currently browsing the daily archive for October 26, 2012. 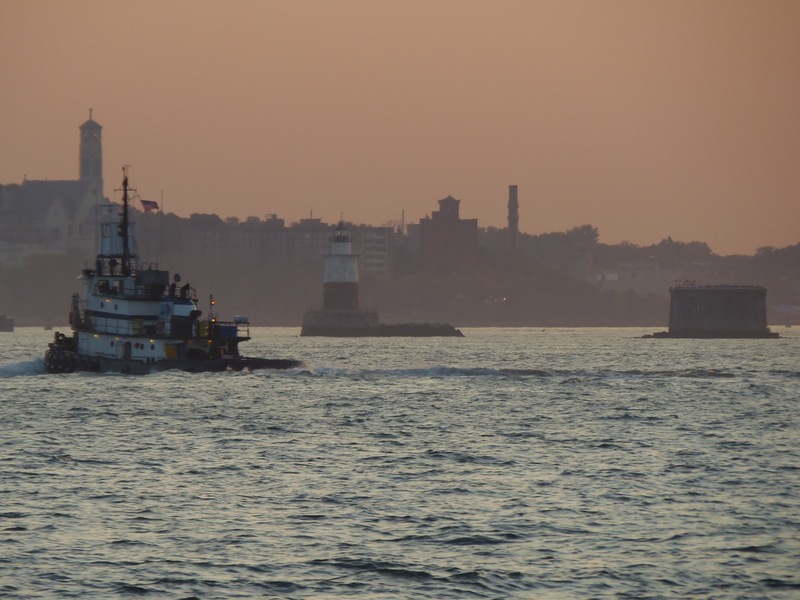 All manner of small vessels traverse the waters of the sixth boro. 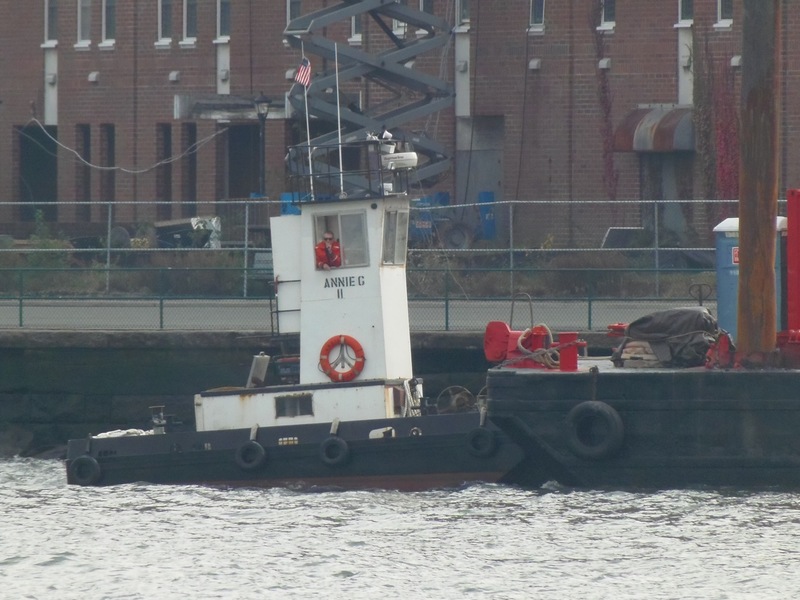 Twin Tube is truly one ageless fixture of the harbor. If I did photoshopping, I’d have the boom dangle something tantalizing over the Statue’s upstretched hand. 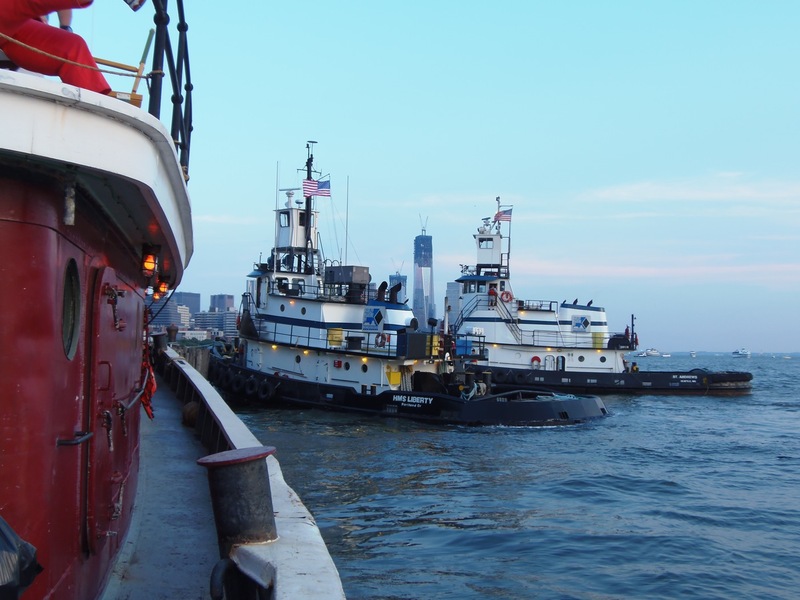 stands by as crew perform some truck task over on the west side of Governor’s Island. I’ve enjoyed watching the derelict buildings on the Island disappear. 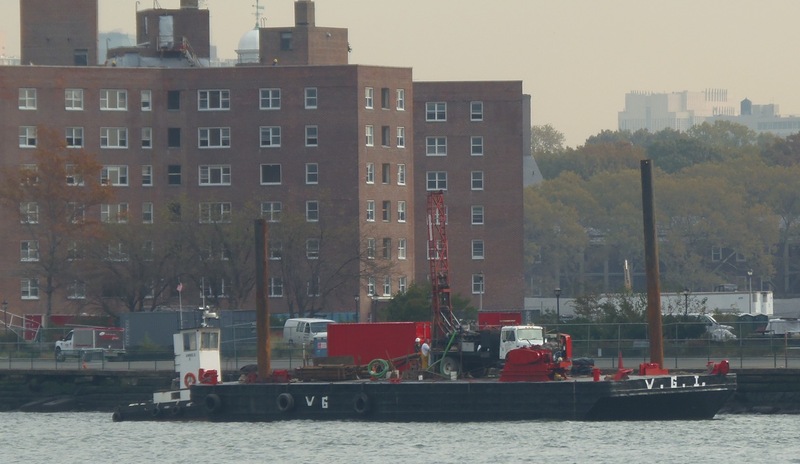 A largely unseen harbor project farther south (sorry no pics from UNDER the sixth boro) has been the tunneling of a new deeper “water main” (p. 7 ff) between Brooklyn and Staten Island. 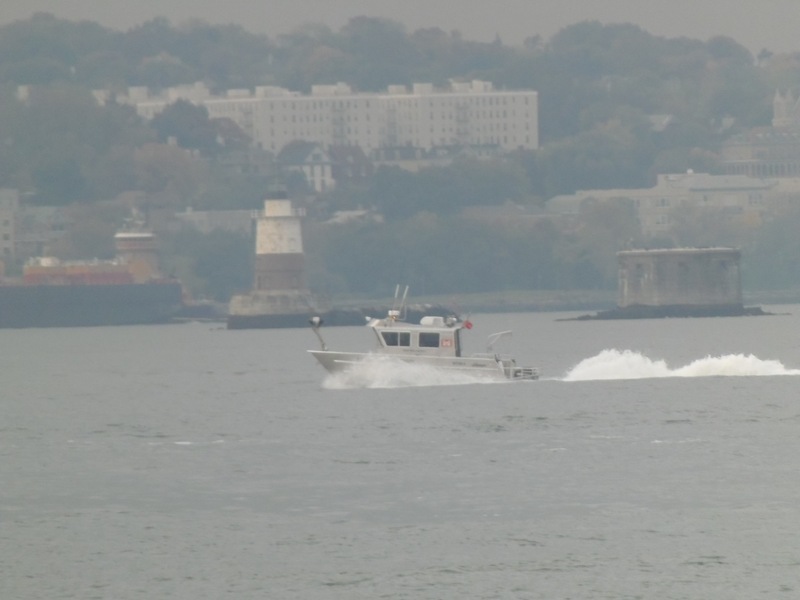 A small USCG boat stops for maintenance on the red 32. 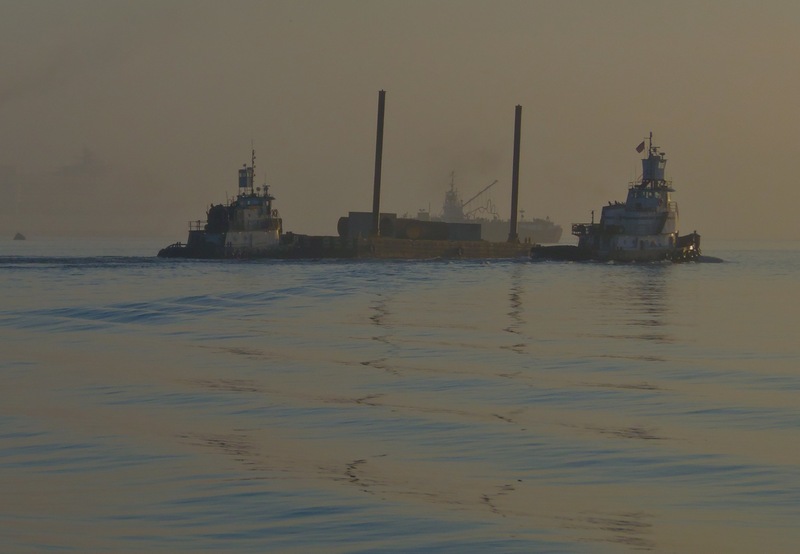 Unfortunately, I was on a vessel headed away from the buoy, and a few seconds after I took this, one crewman stepped aboard the buoy, on the other side. 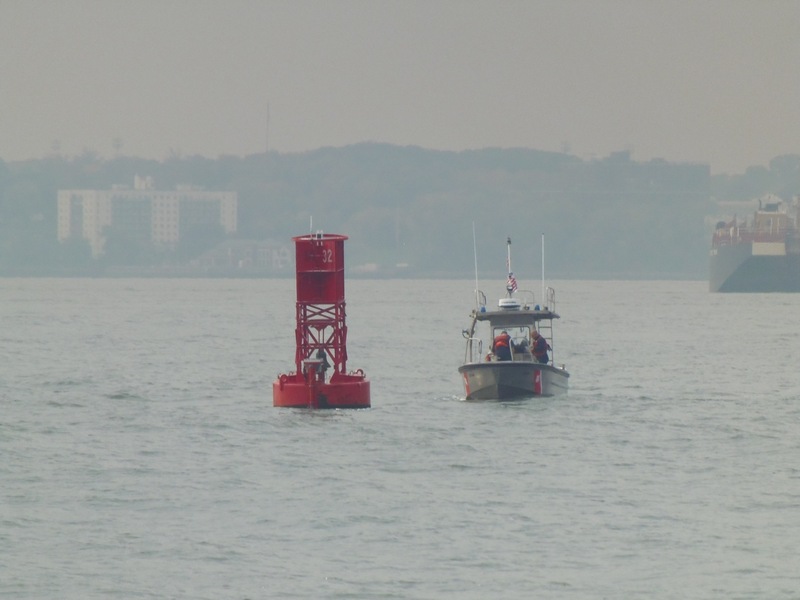 A small USACE vessel speeds to the southeast past Robins Reef Light. 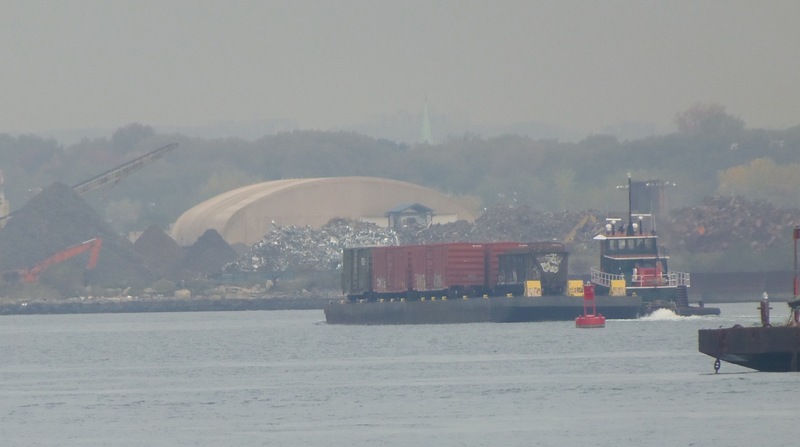 John P Brown pushes fewer than a dozen of the mere 1500 cars per year across the harbor, the miniscule fraction of merchandise that travels between NJ and parts of NYC on non-rubber wheels. 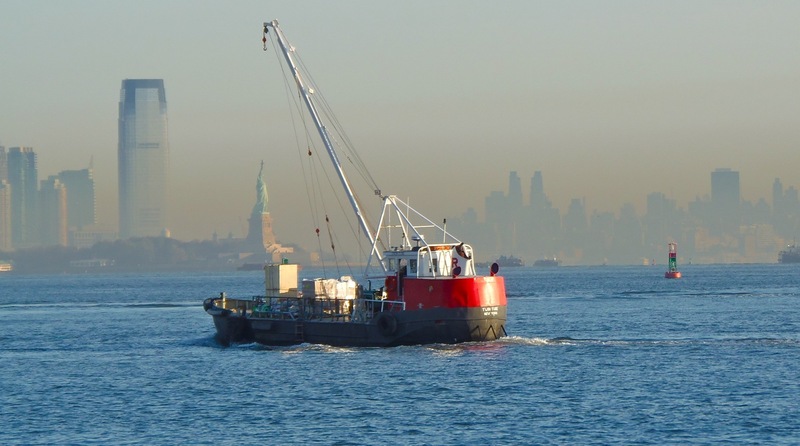 A small fishing boat crosses the bay under the cranes on hovering over Bayonne. 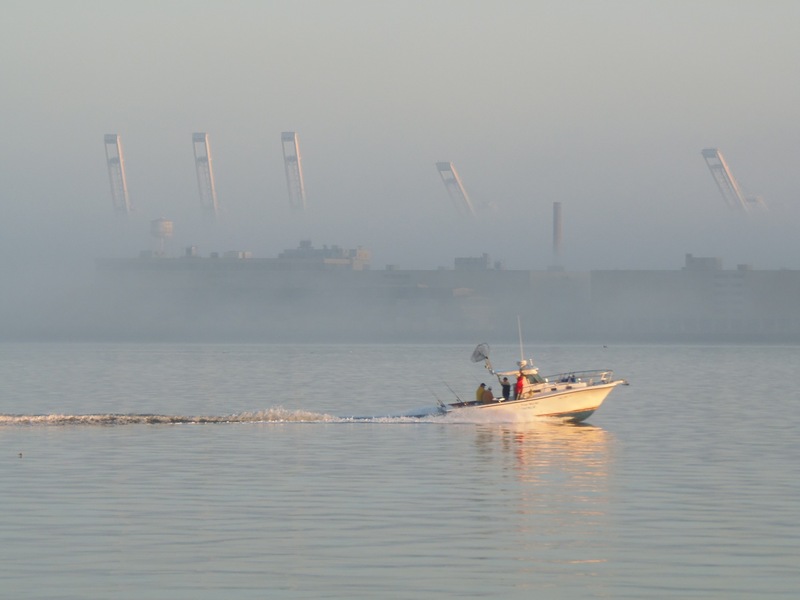 St Andrews runs light past some unidentified tugs obscured in the fog. I spent July 4 docked near St Andrews. 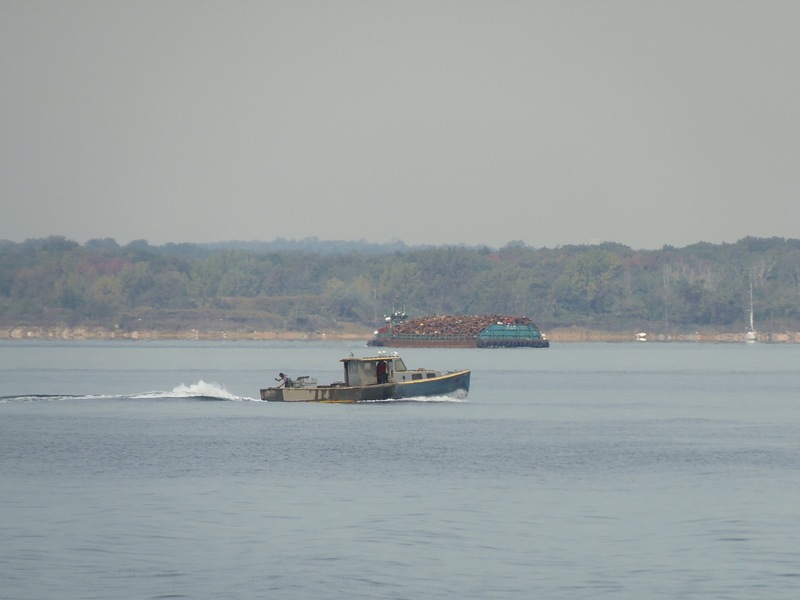 New England style fishing boat heads out of the Bronx while Fox Boys (I think) pushes some scrap probably toward Jersey City. In fading light, HMS Liberty heads for the Kills. I’ve often wonder what the HMS stood for in this case. . . . Is the H his, her, or something else . . . .
All fotos by Will Van Dorp, who wonders whether Sandy will be sandy or just windy, snowy, rainy, . . . tricky . . . .